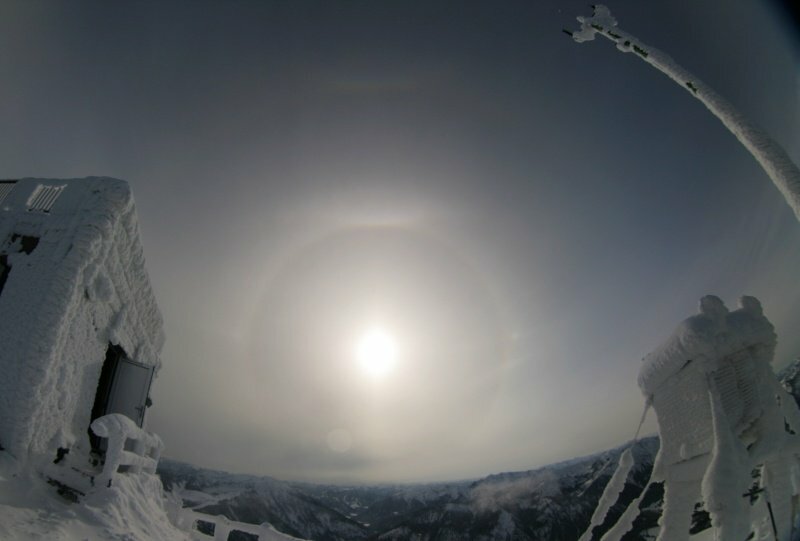 Although this year only few haloes appeared over Germany, I could observe the second complex halo display on Mt. Wendelstein ( 1 ). In the morning I saw my first subsun ( 2 ) in this year, which appeared in freezing fog. Later a veil of cirrostratus from a low pressure area over the Mediterranean Sea crossed the Alps from the south. 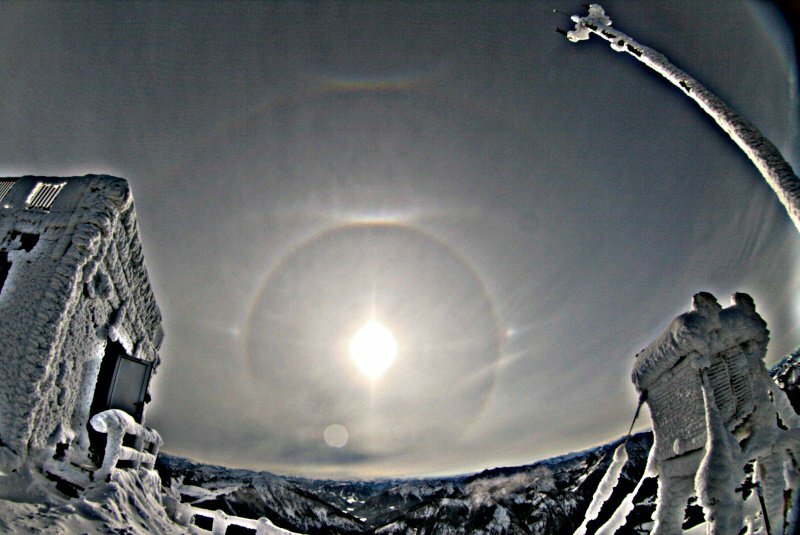 Under those weather conditions, large halo displays can be seen very often. 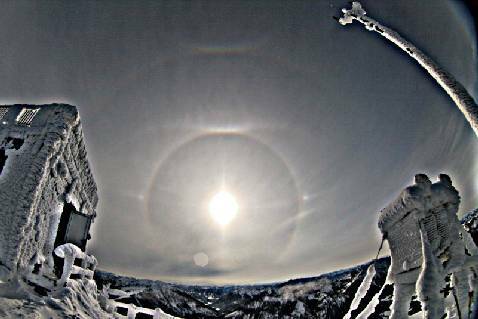 In my own statistics, 80% of all larger halo displays appeared when there was a southerly stream of air over the Alps, or under foehn conditions. And also this time there was a large choice of haloes ( 3 ) in the southern part of the sky, which lasted for about two hours and a half. Between 10.10 and 12.45 CET the 22°-halo, a bright upper tangent arc and a faint Parry arc, both sundogs with Lowitz arcs, the parhelic circle, an almost complete supralateral arc, a faint infralateral arc on the right side, and a complete sun pillar were visible. Unfortunately, the haloes appeared only over a small area on the northern rim of the Alps. So except of me, only my husband who was down in the valley at that time, could enjoy similar halos ( 4 ).